Really well-made game, would recommend! This game in the best Indie Horror game of 2019 so far (IMO). 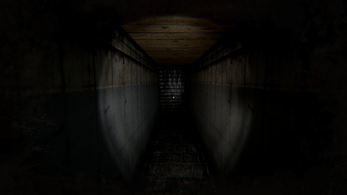 With it's multiple endings, and amazing audio quality will give anyone a good scare. I would love to see more like this. 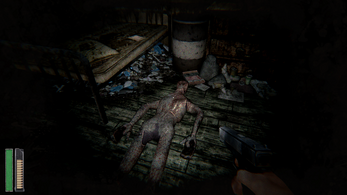 I love horror games that let you fight back! I love the style of this game. Its very fun, but it feel so short. This game was spooky and pretty fun! I got some Resident Evil vibes; enjoyed the atmosphere a lot! This was a lot of fun! I had no idea what was going on but the mystery was half the fun! The sounds made me think of Silent Hill, which is never a bad thing. Awesome job! Looking forward to seeing what you guys come up with next! At the end I had an overall great experience playing this game, even thought some controls weren't that intuitive If I can say, keep it up ! 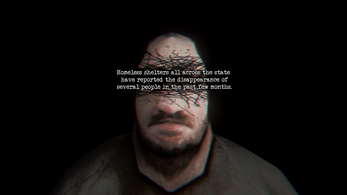 Condemned references aside, I was pleasantly surprised a few times playing this. Some neat set design and unexpected scenes. 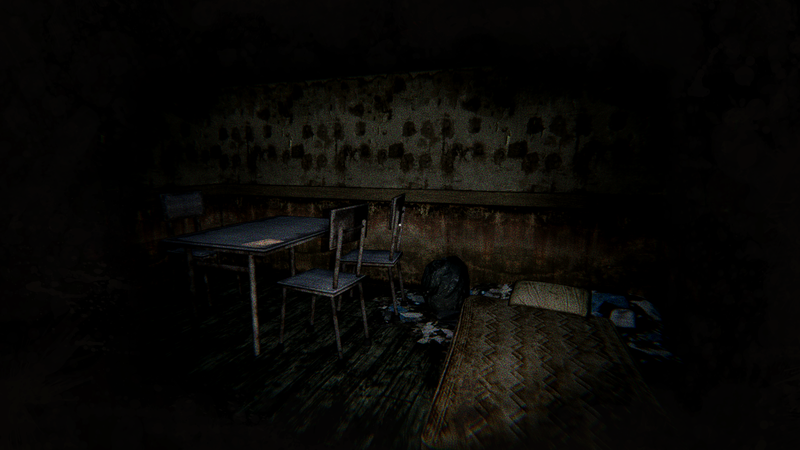 Far too many horror games nowadays have opted for the boring "ghosts in a suburban house", so I'm greatly onboard with going back to actual creepy settings like this. I included my thoughts and some dumb jokes in a video below. Looking forward to seeing more of your work in the future! Nice game! Wish it was longer! Really short but well-thought, it had potential and not that much cliché as the usual indie titles. Well done! Also it ran flawlessly maxed out on a mediocre PC. Good job! You should think about making a full-scale sequel! Although it is quite low poly, the amazing job on the textures was getting me very immersed ! Loved it. 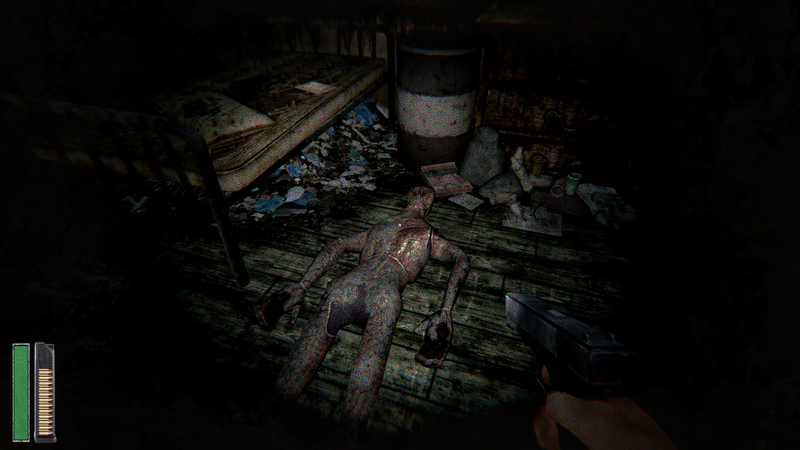 Usually when a scary game gives me a gun i'm much less afraid but this one is gross enough that the effect remained the same. I was on edge so props to you dev! While the game is quite short, it has a very heavy atmosphere. The retro based visual design I think works very well, as well as the audio design being quite creepy and gross in all the right ways. If anyone does not feel like playing through it themselves, in my playthrough I do manage to get (what I think is) the main ending, though I'm not sure what the other ones are. Thank you to Borja Zoroza for making such a nicely put together game and putting out here for us to enjoy. Cheers. Sadly the game doesn´t work for me. I can install it but i can´t open it. Looks promising, but I'm feeling a little difficult. I had a blast playing this, and actually played it four times to get all the endings. If you missed one, or didn't want to replay it, then feel free to look at my video. I would appreciate a subscribe! I really enjoyed this gave me a quick scare! Ill make sure to look into the other endings aswell! Woah that was eggs and the roaches very scary game keep up the good work.